1. You will get our focused attention, immediate replies, and fast action. 2. We will listen, understand, and pursue (what you want) using our proven system (good data, good people & networks, and local intel). 3. We deliver a balanced approach, where the head (numbers) & heart (I love it!) are in sync. 4. We are experienced business people, hyper-professional, and lots of fun. 1 + 1 = 3, so to speak. When you are passionate about your job, it shows. Right from the start, Ruthie has used her passion to fuel a career as powerful as the sun. She has achieved Elite Status literally from her first year to today and continues to push the bounds of what is possible, selling over $80 million in real estate in the last year. She has become one of Vancouver’s select real estate stars, achieving Medallion Status. Ruthie brings a unique blend of education and experience to your doorstep. With a degree in Fine Arts and studies in Landscape Architecture at UBC, she ran a successful Event Management company for over a decade before turning her enthusiasm and experience to real estate. An entrepreneur from the tender age of 12 when she sold bespoke jewelry out of her school locker, Ruthie has an unparalleled eye for style and creative vision. Combine this with her attention to detail and you have a realtor that is smart, innovative, business savvy and 100% client centered. Clients will tell you over and over again, that she is your star, your fighter, your connection to a successful future in building your own real estate empire. Home ownership can seem overwhelming in Vancouver. Together with a sweet family (Talia 16 and Cooper 13) and her husband, they have bought and sold 3 homes, ultimately realizing and settling into their current home they love. They have purchased a recreational home and multiple condos in Vancouver to one day assist their children in owning in this city too. Ruthie knows how to do this and loves sharing this experience and knowledge with her clients. Ruthie & Paige know how to listen. They worked closely with us, our timeline, and the particulars we prioritized. Most importantly, they never put any pressure on us. It was clear they weren’t motivated by the transaction, but by our satisfaction. Bonus points - they’re both hilarious. Raised in White Rock, Paige has called Vancouver home since 1989. A founding teacher at West Point Grey Academy, she learned to listen, understand, and connect with local families. Yes, she even worked with Justin (Trudeau) while at West Point Grey, but let’s keep that between us. 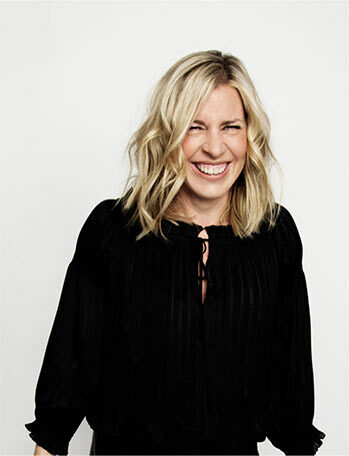 Paige’s superpowers for quickly connecting launched her into successful roles at Xerox and with other big league brands, such as Microsoft, lululemon, and Walt Disney. Her passion is people and helping them understand — and get — what they want. “Paige knows how to listen. She worked closely with us, our timeline, and the details we prioritized. Most importantly, she never put any pressure on us and coached us, in her delightful way, through the million things a first-time home buyer needs to learn. It was clear she wasn't motivated by the transaction, but by our satisfaction. She — and Ruthie — are awesome!” says Rob MacDonald. In 2004, Paige and her husband Paul built their Dunbar home for their expanding family. Their two children Noa and Eli are now school aged, and together, they are active playing, performing or volunteering throughout the community. Paige's rewarding experience in building homes, selling & renting homes, and volunteering has inspired this phase of her life. She loves it here, and loves being part of making it fun. As Paige says, “It takes more than putting up a plastic sign to sell a home – it takes a customized strategy and the genuine interest and ability to understand the client’s desires."